CHICAGO (AutomotiveWire) - Alternative Distribution Systems, Inc. (ADS) of Homewood, IL, has recently added 25 new high capacity, high speed, new generation steel coil railcars to its existing equipment fleet. These new railcars supplement the rail-owned fleet and yield ADS customers a benefit in additional coil-carrying capabilities of the rail system. The new cars, leased through Bombardier Capital Rail Inc., are single-trough, insulated covered coil cars; have 286,000 pound gross weight capacity, with six interior bulkheads. The Indiana Harbor Belt Railroad (IHB), who provides terminal rail service to many of ADS' Roll & Hold Warehousing & Distribution facilities, will pool the cars on their railroad. This ADS fleet addition marks the first time that a non-railroad company has brought privately owned covered coil cars to the nation's rail fleet - a fact that significantly differentiates ADS from its competitors and uniquely positions the company to better respond to the needs of its customer base. "This is a unique lease with ADS in that it's also a partnership with the Indiana Harbor Belt Railroad (IHB)," stated Daniel G. Linklater, Regional Sales Manager, Bombardier Capital Rail. "We put together an agreement that reflects a full-service per diem lease that works to the advantage of both ADS and the IHB. Basically, explained Linklater, IHB benefits because its fleet has, in effect, grown by 25 railcars, and ADS benefits because their customers can rely on ADS to not only provide warehousing services, but help them control the cost of moving to and from the warehouses using the lower cost rail option. This type of an arrangement - where a leasing company is partnering with a third-party logistics company - is one of only two in which Bombardier Capital Rail is participating and, according to Linklater, this innovative partnership concept is one that will probably continue to grow. "The IHB is very encouraged about ADS's commitment to growing the steel business out of northwest Indiana, as evidenced by their investment in these cars," said Chuck Allen, General Manager, IHB. "IHB is looking forward to working with ADS to provide a premium level service that will compete with intermodal at a more attractive price for the customer." "The ADS lease will open up markets that have not been here before and allow for better equipment utilization," said John Szamatowicz, Manager of Marketing - Industrial Development, IHB. ADS will manage this fleet using its innovative logistics management system, called LOMAS. The system interfaces with the rail car tracking system to update real time location and ETA, and provides customers that information visibility by product in the car (coil number, order number, etc.). Stephen Fraser, president and chief executive officer of ADS stated that the car addition is an example of ADS' commitment to serve its customers in unique ways. "Costs of distribution are a significant component of the delivered cost of metals product. Providing these cars will allow our customers to economically move their product, and working with the IHB and other railroads to increase the car velocity and providing our customers supply chain visibility using LOMAS will result in better car utilization, lower transport costs and thus drive down inventory carrying costs." ADS, a national provider of integrated transportation, distribution, and logistics services to the metals producing and consuming industries, has three subsidiary companies: Area Transportation Company (ATC) a special commodities flatbed carrier offering service via a 48-state common and contract authority and various Canadian authorities; Roll & Hold Warehousing & Distribution Corp. (RH) a metals warehouser providing the systems and services necessary to successfully execute just-in-time distribution programs, and Western Intermodal Services, Ltd. (WISL) specializing in intermodal transportation and packaging of services, combining rail, truck, and barge transportation. Bombardier Capital Rail Inc leases railroad freight cars and is a division of Bombardier Capital Inc., one of four Bombardier Inc. divisions. 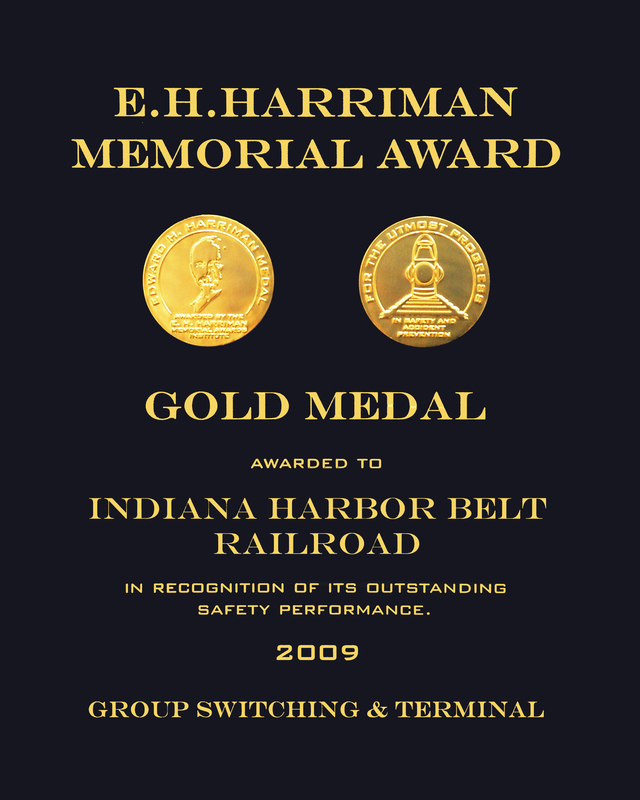 Indiana Harbor Belt Railroad (IHB) is a switching railroad serving the greater Chicago and Northwest Indiana areas. With 54 miles of mainline track, coverage extends from Bensenville (O'Hare airport), IL to Indiana's International Port at Burns Harbor, IN. The IHB is the largest switching carrier in the United States and has direct interchange with all Chicago rail carriers. For more information about ADS and its new fleet of specialty railcars, contact Dawn Thrasher, Manager - Communications, Alternative Distribution Systems, Inc., (708) 799-4990, ext. 2124, dawnt@adsinet.com.